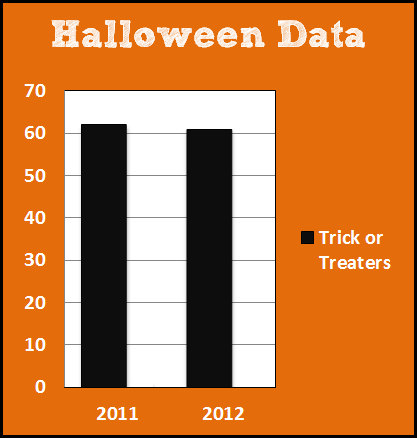 Ian & Brittany's Blag: Halloween Stats - SO CLOSE! Halloween Stats - SO CLOSE! Man.. if we had just 1 more kid we could have at least tied last year! We got 61 kids even though it was a little rainy out! There so many kids wearing bulky costumes to keep warm and rain boots. Cute!